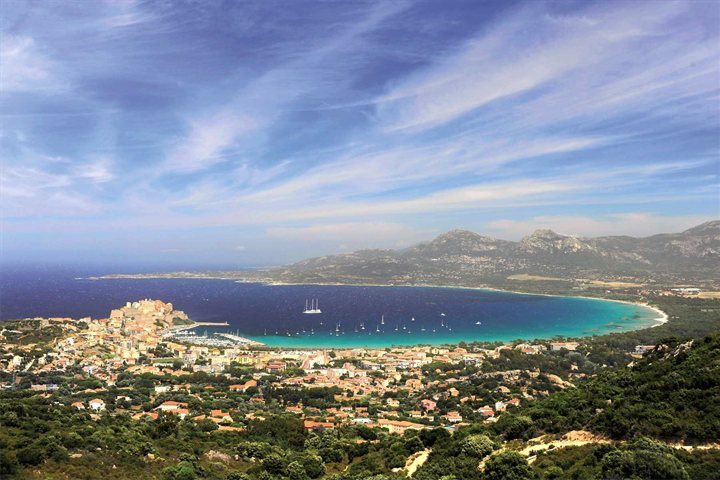 We’re proud to offer an exclusive charter flight with flybe from Manchester to Calvi. 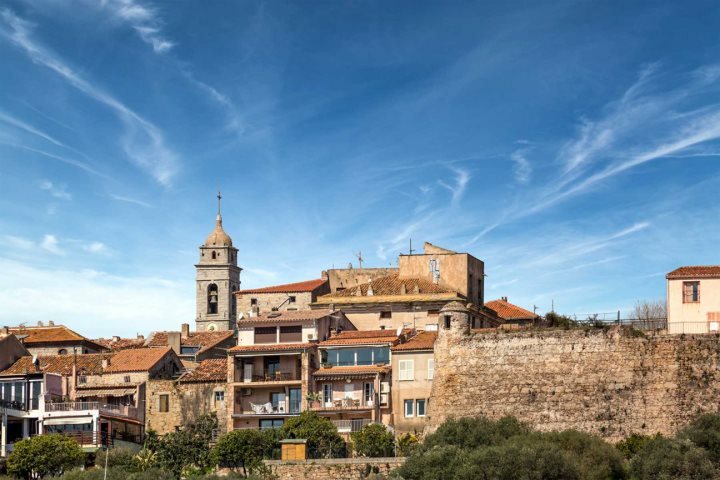 Located on the island’s north west, Calvi boasts an impressive Citadel, a stunning beach and lots of restaurants showcasing Corsica’s fantastic food. Just 350m from the hustle and bustle of the town you will find A Merula self-catering apartments, set in beautifully kept gardens with a private and peaceful atmosphere. 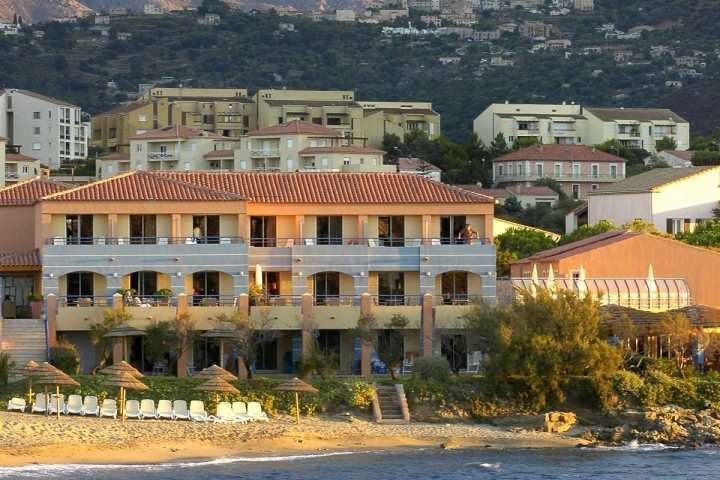 The 24 apartments here are studios or one-bedroom and share a pool, but you’re so close to the sweeping bay of Calvi you have lots of choice where to spend the day sunbathing. We also offer flights with easyJet from Manchester to Bastia, on the north of Corsica. 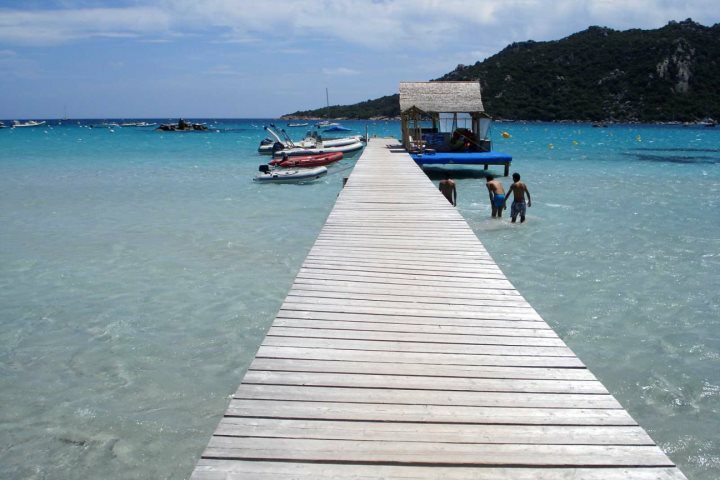 Although there’s some fantastic properties and absolutely stunning scenery in this area of the island, one recommendation we would make is to hire a car and drive south along the east coast of the island down to Porto Vecchio. This drive takes around 2.5 hours, however the views along the way are breathtaking. You can also make a slight detour and spend some time inland in the Corsican mountains, which again is very rewarding. 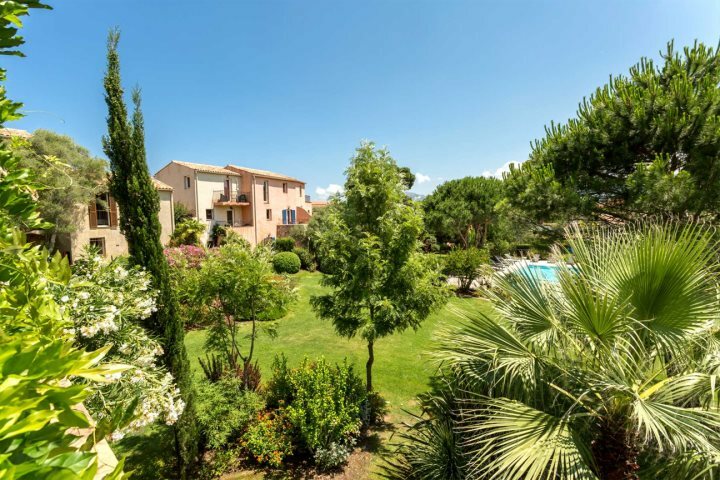 Once you’ve reached Porto Vecchio, we love Villa Terra Vecchia. 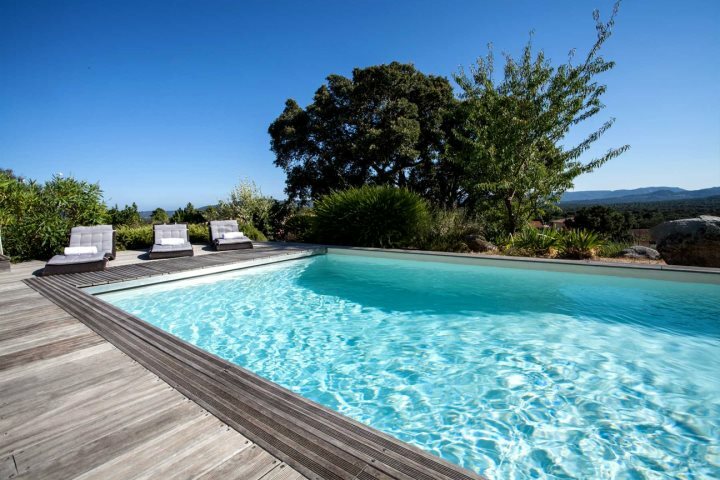 A modern villa for up to six guests, there’s a private pool and sunbathing deck with spectacular countryside views. Here you’re just 6km from the town, and only 13km from Santa Giulia Beach – one of the best in the south. 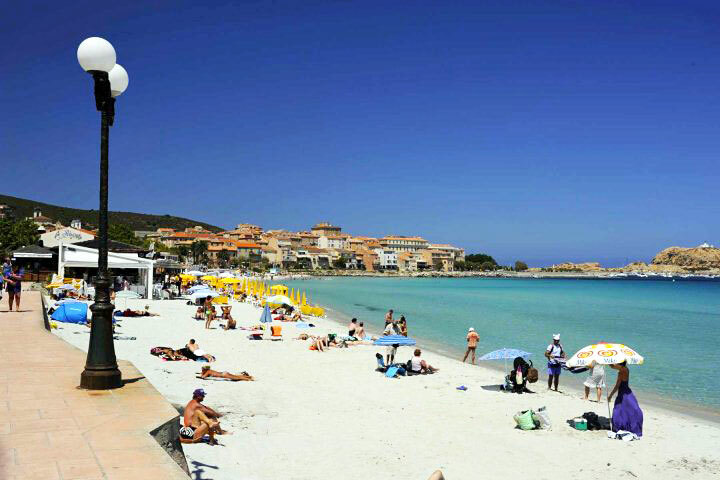 Just 24km along the coast from Calvi is L’Ile Rousse, where you’ll find not only another beautiful bay, but quaint local markets and lively cafés. Just a short stroll from the centre of town is Hôtel Santa Maria. A stylish property with a beachside setting, a holiday here is perfect for couples looking for a base on the edge of town, but still within close walking distance of the restaurants and shops. 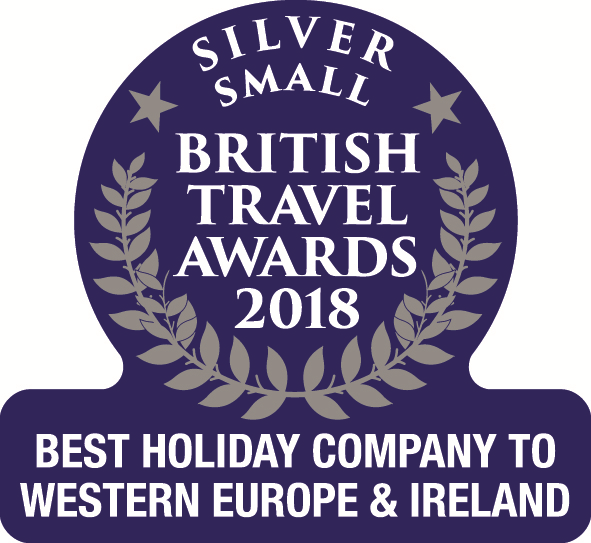 If a holiday to Corsica fits the bill and you’re looking to travel from Manchester, take a look at our website for more inspiration, or browse our complete range of accommodation in Calvi and L’Ile Rousse, St Florent and the north east, or L'Extrême Sud in the south. If you’d rather talk to someone directly about your holiday requirements, call our knowledgeable reservations team on 01489 866931.